SATURDAY, April 7, 2018 (HealthDay News) -- When it comes to lowering high blood pressure, exercising is pretty much the last thing people want to do, a new survey shows. "I suspect many people are hesitant to take lifelong medication or to adopt lifelong lifestyle modifications, and some of that is because many don't believe it's going to have much of an effect on their well-being," said study author Dr. Erica Spatz. "So I wasn't surprised to find a significant number of people who thought that even if these interventions lengthened their life span, they were reluctant to adopt [one]," Spatz added. She is an assistant professor of cardiovascular medicine and a clinical investigator at the Center for Outcomes Research and Evaluation at Yale University School of Medicine. Respondents were given four options to treat their hypothetical high blood pressure, including taking a pill, drinking a daily cup of tea, exercising, or getting a monthly or semi-annual injection. Taking a pill was the most popular treatment, with 79 percent saying they'd be willing to do so for an extra month of life, 90 percent for an extra year and 96 percent for an extra five years. Exercise ranked below that, with 63 percent of respondents saying they'd be willing to do so for an extra month of life. Meanwhile, 84 percent would exercise for an extra year of life, and 93 percent would exercise for an extra five years. 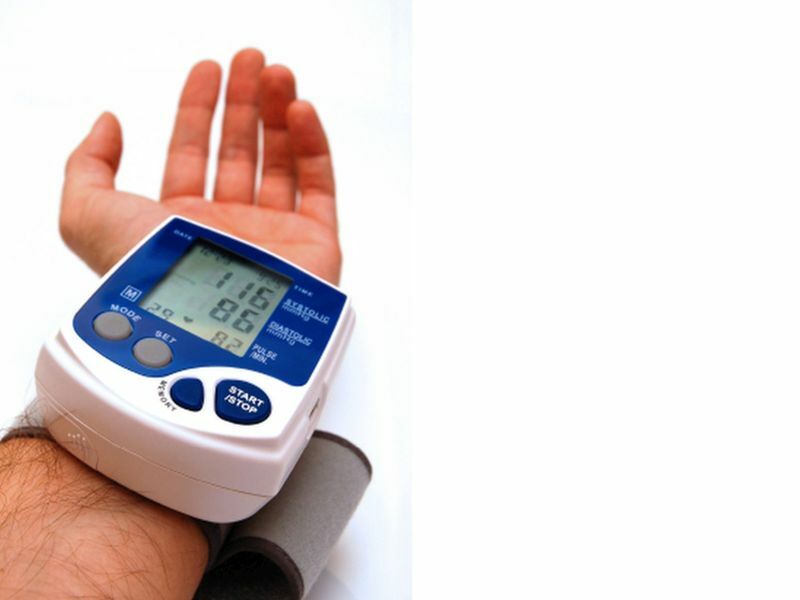 Spatz said the recently updated high blood pressure diagnosis guidelines present an "enormous opportunity" for health care providers to communicate more with patients about options to lower their blood pressure. It's also a chance to clarify why patients may not be as willing to adopt one treatment over another, she said. "The more we're able to bring out what are the burdens of therapy -- the inconveniences of exercising or taking a pill every day -- the more we can come together with patients about ways to make it easier and potentially dispel some myths," Spatz said. "I think we're good at making recommendations . . . but aren't always sensitive to the little inconveniences that can be a big thing in a person's life," she added. "We're really good at talking about side effects, but not so much about how you're actually going to get to the gym or when you're going to fit that into your day." Spatz acknowledged several limitations in her research, including the younger ages of most respondents, who also weren't told the actual life-extending capability of each high blood pressure intervention. She noted that exercise might seem a more attractive option for those with high blood pressure if their efforts quickly corresponded to lower readings, but that its more abstract benefits -- such as preventing heart attack or stroke -- may not provide enough incentive. "Understanding the value of exercise and putting it into numbers or stories for people may help increase their enthusiasm for it," Spatz said. Dr. Alon Gitig, a cardiologist at Mount Sinai Riverside Medical Group in Yonkers, N.Y., agreed that motivating people to exercise "is a very difficult task." "This study underscores the natural inclination for people to resist the thought of starting to exercise," said Gitig. "It's important to talk to patients about 'activity' and not necessarily 'exercise,' since abundant evidence confirms that even smaller amounts of activity confer significant health benefits. "The most surprising result in my mind is the fact that less than 90 percent of [participants] would exercise regularly to gain an entire extra year of life," added Gitig, who wasn't involved in the new research. "It's more challenging to change people's mindsets in later years of their life to get them exercising, so starting to develop the habit early in life is crucial," Gitig noted. "But at the same time, younger people who are feeling well and are healthy, with no concrete medical concerns in sight, often relegate exercise to a lower position on their priority list." The study is to be presented Saturday at an American Heart Association meeting, in Arlington, Va. Research presented at scientific conferences typically hasn't been peer-reviewed or published and results are considered preliminary. SOURCES: Erica Spatz, M.D., assistant professor, cardiovascular medicine, and clinical investigator, Center for Outcomes Research and Evaluation, Yale University School of Medicine, New Haven, Conn.; Alon Gitig, M.D., cardiologist, Mount Sinai Riverside Medical Group, Yonkers, N.Y., and assistant professor, medicine, Icahn School of Medicine at Mount Sinai, New York City; April 7, 2018, presentation, American Heart Association's Quality of Care and Outcomes Research Scientific Sessions, Arlington, Va.